From November 30 to December 11, the next UN Climate Conference will take place in Paris. This conference is of primordial importance: For the first time, it pursues the objective to ratify a new internationally binding climate protection agreement which will succeed the Kyoto Protocol as of 20201. Building upon this agreement, the participating governments of the United Nations will define their goals which however are decoupled from the strategies of the actual players – which are mainly the companies of the private sector. Today, companies define their success mainly by economic criteria and align their strategies accordingly2. Thus, they make an economic contribution to society within the frame of the Gross Domestic Product (GDP). Possible ecological and societal contributions are not integrated into any comparative evaluation3. At the same time, weaknesses were identified in models that consider the GDP as the most important indicator of a government’s success4. Consequently, several governments have requested experts to develop alternatives and complements to this concept of the GDP which also take ecological and societal objectives into consideration5. The traditional management models for operating an enterprise are, above all, of monetary nature and do not reflect such objectives adequately. First attempts for closing this gap are sustainability reports which, in the meantime, have become mandatory for enterprises of public interest6. There is, however, no connection to the governmental goals described above. If in the future, the objectives of the International Climate Protection Agreement are to be reached, a corresponding adjustment of company goals is indispensable. This calls for a new management model that defines a company’s success in terms of its contributions to society and focuses on sustainability as an entrepreneurial responsibility. The Gross Domestic Product is considered the most important indicator of a nation’s economy. But especially since the financial crisis in 2007, this index figure has increasingly become the target of criticism: Is it still the appropriate indicator to express the wealth of a nation’s economy? The GDP as an indicator for the economic development of a national economy does not seem to adequately reflect its societal and ecological developments7. As early as in 1972, international scientists have started to develop other indicators to measure wealth. Due to the variances in their objectives and complex data entry methods, none of them could consistently establish itself in the long run8. This is the reason why several governments have established expert teams to investigate the weaknesses of the concept of the Gross Domestic Product and to develop a method to evaluate a nation’s wealth more comprehensively. First results in the form of alternative indicators and recommended actions that take economic, societal and ecological developments into account have been submitted9. – Analysis of the working world, consumer behavior and life styles. It is one of the committee’s findings that wealth and life quality are related to economic growth only to a certain conditional extent. In addition, the experts concluded, that inequalities of income and wealth have increased over the past twenty years due to demographic developments. Based on its findings, the committee distinguishes the three dimensions “Material wealth”, “Societal aspects/ participation”, and “Ecology”. In this approach, it developed a package of holistic wealth and progress indicators (W³ indicators) that go beyond the mere GDP and will have to be compiled by the German Federal Statistical Office10 from now on. In Germany, the GDP is still the most important index figure for measuring the economic performance of the nation. It is beyond controversy that the private sector, that is the private companies, is the largest contributor to the GDP, and therefore has a decisive impact onto its development. The government’s policy with regard to economy, environment and society determines the nation’s operational economic framework. This brings into focus the contributions of the private sector‘s entrepreneurial activities beyond the mere GDP in consideration of alternative indicators and focus as defined in the recommended actions. From this their enormous influence on the wealth of a nation’s economy and consequently on its economic, societal and ecological sustainability. So far, sustainable approaches on the managerial level seem to succeed at a very slow pace only, if at all. 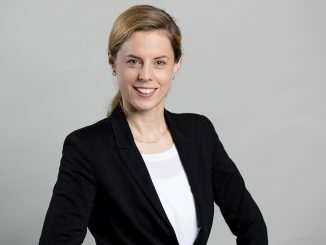 In many cases, a company’s management perceives sustainability as limiting or cost-intensive and not as the opportunity it is – also in view of the CO² emission rights that are tradable at the stock exchange. It is true that sustainability reports have become an established procedure in the private sector: For global, listed companies, it has even been made an obligation to publish sustainability reports12. 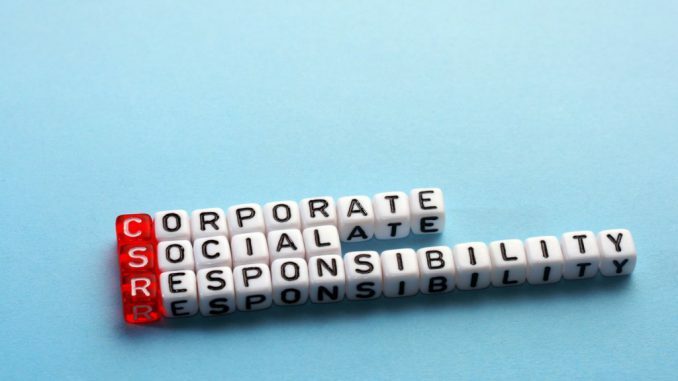 But more often than not, such sustainability reports are disguised measures of cultivating an image rather than serious activities in the sense of social responsibility which often is not an integral part of a company’s strategy. Hence, CSR approaches often are merely fragmented individual attempts, detached from the core business13. How then can key business figures be deducted from the W³ indicators that were developed by the “Growth, Wealth, Quality of Life” committee? Key figures that enable companies of the private sector to measure the effects of their entrepreneurial activities on the national economy and to show correlations in order to generate awareness for holistic sustainability? The W³ indicators can serve as basis for deducting key business figures that form the corner stones for a novel management approach. For this purpose, the key figures are classified into entrepreneurial spheres of action according to their specific dimension. This management approach is aimed at enabling companies to align their strategies sustainably and to thus making a contribution to achieving social goals. Aligning company objectives with social objectives produces a win-win situation for companies as well as society. By suitable measures and objectives, companies can – by self-governance – influence the impact of their entrepreneurial activities and assume responsibility in a sustainable manner. Sustainable responsibility in this context means to do business in a responsible manner, to act in an ecological way and to make a contribution to society. 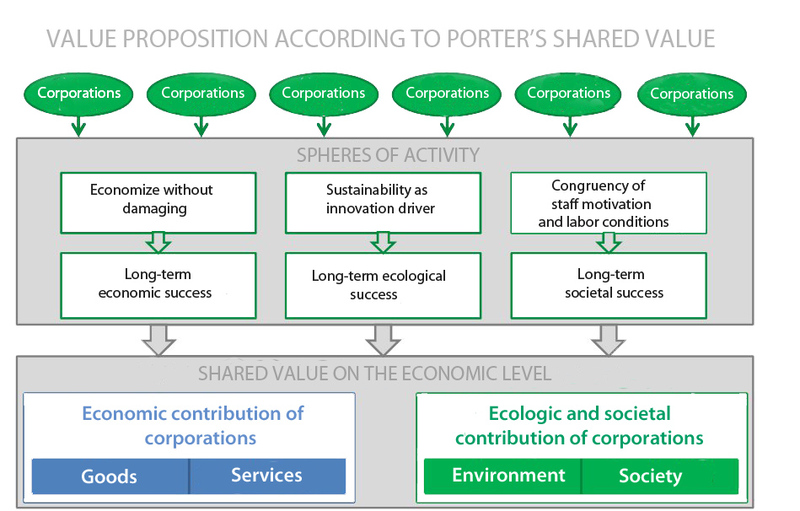 Based on Porter’s ideas, this win-win situation is referred to as “Shared Value”14. Being part of a nation’s economy, companies make a significant contribution to a nation’s Gross Domestic Product. Following this logic, an analysis is conducted to determine the contributions companies make to established economic alternatives to the GDP that also attempt to demonstrate the economic, societal and ecological wealth of a nation’s economy. By means of a deductive method, the most relevant indicators are identified which, on a company level, generate awareness for the factors influencing and critical for wealth. The approach wants to enable companies to take prosperous actions on an economic, societal as well as ecological scale, thus making their contribution to fulfilling the sustainability objectives of a nation’s economy. The goal of these efforts is to develop, with the help of these indicators, a novel management model which places responsible conduct of business, environmental awareness and overall social responsibility into focus. This goal is pursued with the intention to enable companies to developing a sustainability strategy that is in line with the goals of a nation’s economical objectives and to implement it within a suitable system. The issue is of high practical relevance, however the scientific foundation is still lacking. 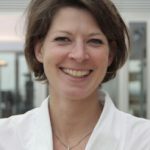 Sustainability/ Corporate Social Responsibility is not just a trend; much rather, it is a values change made obvious roughly 30 years ago in the Brundtland Report of the World Commission on Environment and Development of the United Nations, and re-enforced after the financial crisis in 2007 in particular. Over the course of time, three dimensions have emerged under the roof of the term sustainability, which the “Growth, Wealth, Quality of Life” committee of the German government refers to as “Material Wealth”, “Societal Aspects/ Participation” and “Ecology”. To achieve favorable developments in all three dimensions, companies are required to make contributions on all levels of these three dimensions. “Material Wealth” continues to be an important dimension in society and is almost exclusively achieved by entrepreneurial activity. This dimension usually becomes manifest by money-based criteria and is reflected by the income situation. The need for action within this dimension must therefore focus on fair pay programs that are regulated not only by a pay scale system, but – beyond corporate boundaries –also follow comprehensible non-pay-scale criteria that correspond with a position’s true value. In the future, more importance will be assigned to the dimension of “Societal aspects/ participation”. Irreversible trends such as the demographic change, work-life-balance, increasing self-responsibility and migration have a significant impact on this dimension. In the process, employees and their skills as a resource and a company’s intellectual asset will be subject to a change of values to which companies will be forced to respond by socially oriented offers to gain and retain suitable employees. The required action will imply further-reaching social benefits and more employee participation. Companies will be confronted with totally new challenges and find themselves in a role where they have to assume more social responsibility which until present has been the task of government institutions. To be able to conquer this challenge, companies will have to become aware of by what kind of activities or investments they can create value and benefits in the sense of “Shared Values” for themselves as well as for the individual employees15. The progressing climate change and the consumption of limited resources will place the dimension of “Ecology” into the center even more. 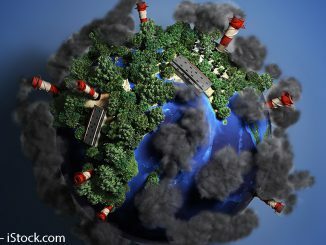 Just as today, one ton of CO² has an assigned equivalent monetary value, novel technologies will allow an increasingly accurate and measurable assignment based on the “polluter pays” principle for climate and environment damages that can be linked to money-based dimensions. Thus the ecological dimension in the sense of an expanded economic efficiency calculation will be directly integrated into modern business economics. For companies, that means that they must not only realign themselves along increasing costs for ever scarcer resources and stricter standard specifications, but that they will also have to assume liability for the ecological effects of their activities. Doing business without damaging the environment and thus the future generations will become a central conflict of objectives which companies must solve intelligently. The assumptions in context with the described dimensions must be examined by means of quantifying methods on the basis of suitable criteria that still remain to be defined. The results will be integrated into a still to be developed management approach that reflects the dimensions and the associated aspects in the form of a sustainable objective and control system (theoretical construct). This enables companies to establish a future- as well as value-oriented alignment and development and, in addition, a utilization of sustainability in line with entrepreneurial responsibility.